Like many Loop workers, at first stomach growl, we’ll duck out to eat the same mundane meal or skip it altogether. Comedian Margaret Hicks, a former Chicago Architecture Foundation docent, plans to enliven our mealtime monotony with her new Pedway walking tour that costs the same as a 12-inch subpar sandwich. “It’s not a laughing matter that many of us get stuck in the office and neglect the opportunity to visit free public buildings that are full of history and personality,” says Hicks. As Old Man Winter’s wrath comes down outside, tourgoers can huddle inside the underground walkway, which stretches more than five miles and connects 40 retailers, residences and city landmarks. On weekly rotating stops, you might tour the artwork of adults with disabilities at the Daley Center’s Project Onward gallery or view artist Anna Jaap’s paintings inside the Aon building. In the Metra station connected to the Pedway, you’ll see a plaque dedicated to fallen worker Wilbert Van Hooten, killed on the tracks in 1999. A pause at the staircases of the Michgan Avenue and Randolph Street exit reveals the site where Chicago Tribune worker Jake Lingle was shot to death by associates of Al Capone (allegedly, he owed the gangster $100,000). Fresh off the success of a Second City tour, the 12-year improv vet who’s “done funny” at the Playground, iO and Annoyance, among others, says she’ll break into impersonations, which include urban planner Daniel Burnham, the late Mayor Richard J. Daley (who, she added, “sounds remarkably similar to Junior”) and Bertha Palmer. 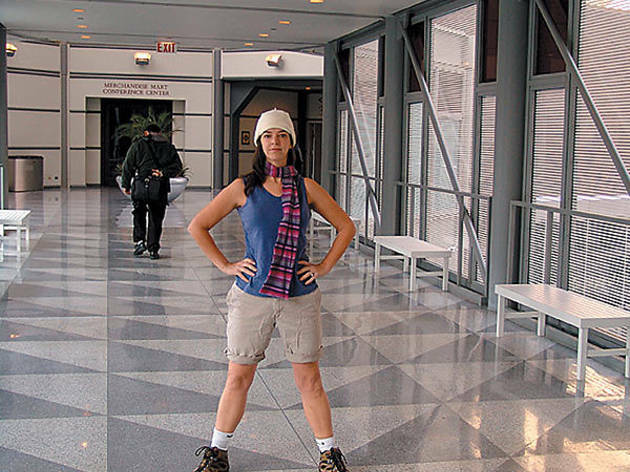 Her tour’s goal is to help Chicagoans (not just tourists) become familiar with navigating the infrastructure and its surrounding architecture, which they can enjoy any ol’ lunchtime. Bonus for your growling belly: Hicks concludes each tour at an underground food court. 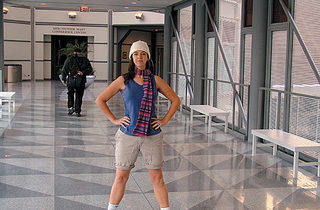 Pedway Tour meets at the Chase BanK ATMs, 40 W Lake St (773-593-4873, margaret@chicagoelevated.com). Monday, Thursday, 10:30am, noon. $15.